Topics include properties of cell membranes, anatomy and physiology of the nervous system, special senses, and endocrinology. The laboratory includes membrane physiology, gross and microscopic anatomy of the nervous and endocrine system, and testing of somatic and special senses. In this lab, students will identify selected structures of the central nervous system through examination of models and specimens to understand how the body obtains, processes, and reacts to information. 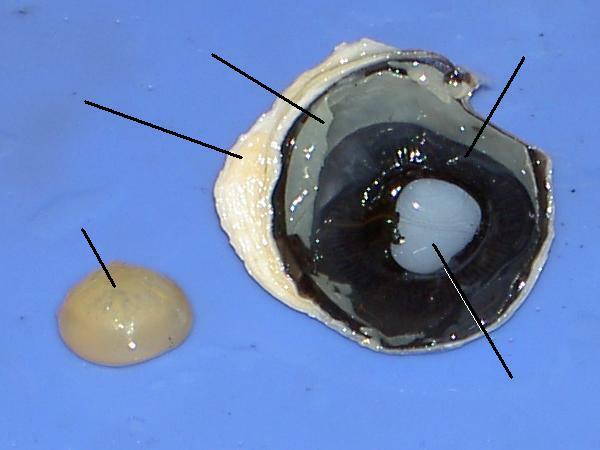 Dissections of a sheep’s brain, bovine spinal cord, and a sheep’s eye are performed. Class lectures based upon the distributed outlines. This material may, from time to time, be augmented by assigned readings, Internet searches, or video presentations. Exams will be based on the lecture presentations and any other assigned material. Study of the human body through models and gross anatomy dissection videos, dissection of the rat, with other anatomic specimens as available. The student will be responsible for being able to identify items specified in the laboratory guide handout. Material may be added to or deleted from this list as the instructor deems necessary. Laboratory exercise content may be augmented by assigned readings, Internet searches, or video presentations. 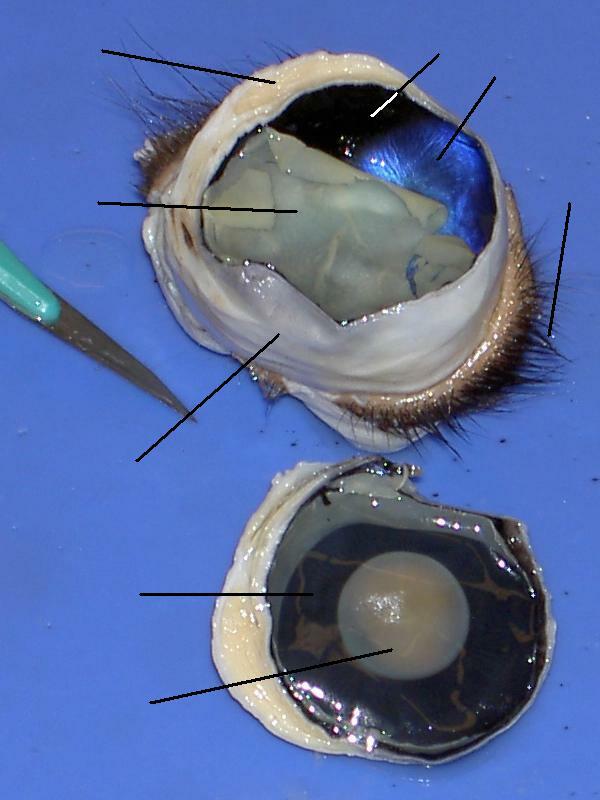 The practical examinations used to test the student’s knowledge may use specimens or illustrations. Human Anatomy & Physiology 1 or equivalent is strongly recommended. Prior courses in mathematics and physics or chemistry would be useful. Two examinations, as specified in the Grading Section below. Two practical examinations with a good attendance record and active participation. describe the role of the respiratory system in the regulation of pH. What you need to know. Anatomy and physiology are demanding fields of study requiring the student to be disciplined and attentive to detail. There is much to learn and a very short period in which to learn it. Students who attend the lectures regularly, take adequate notes during lecture, and study regularly do well in these courses. While there are no formal prerequisites at this time, a baseline of knowledge, as might be learned in high school, is presumed: a working command of spoken and written English; the ability to perform basic arithmetic operations; an elementary knowledge of plane and solid geometry; basic biology, including structure of the cell, evolution, and development; basic chemistry, including atomic structure, elements, compounds, and energy; and some knowledge of physics, such as the laws of motion. Add to this list as a very strongly suggested skill set is the ability to use a computer, e-mail, and the Internet productively. Not only will this allow you to use the lecture-note pages to the fullest, but it will also permit easy and rapid communication between you and your instructor, you and your classmates, you and your University. This may look like a formidable list, but do not be put off by it; there is nothing in the list that should not be expected of any student taking a college biology course, let alone anatomy and physiology. Except for the language issue, any deficit can be overcome by additional reading and study by the student at the appropriate time. 1. Be interested in the material. I believe that even if every other suggestion is ignored, when a student is truly interested in a subject, he or she takes the time to explore it in greater detail. The more one investigates something, the more expert one becomes. 2. Study often. Try not to wait until the night before a midterm or final to cram. If one studies a little bit after each class session, not only does the material seem more familiar, but there is the chance for additional consolidation of the material into memory. Some authorities recommend at least two hours of study for each hour of lecture material. 3. Study what is important. Always study the material presented in lecture and any assigned reading. I would be remiss if I did not emphasize how important it is to go to class. Additional reading of the textbook or linked web pages should not be ignored, but if pressed for study time, go with learning the material that the test is known to cover. 4. Generate questions and answers. And do not make them trivially simple. Test them out on other students in the class. Solve problems. Use the study/quiz questions in your textbook. 5. Study as a group. If the group members test one another, make sure that at least one person in the group knows the correct answer to the test question. 6. Seek extra help. As with studying, do not wait until the last minute. For one thing, you will have lost the context of the problem. If you do not understand something, ask the instructor after class, or ask your laboratory teaching assistant, or e-mail the instructor. Course Information There is a copy of the syllabus here, instructions on how to log on to the textbook website, and a link to the student website. Course Materials Study guides, learning objectives, and links to learning activities are in this area. Assessment Quizzes This section includes quizzes for each chapter. Discussion Board This is a good place to ask questions or peruse the questions and answers of other students. Tools Grades will be posted in this section. Format. Lecture examinations (and, if given, quizzes) will be in multiple-choice/true-false format. Unless otherwise noted, questions will be based on the material presented in lecture; the lecture outlines available through the syllabus web page links will serve as a guide for the material covered. This statement does not preclude the possibility of questions being asked which might serve to test the student’s ability to visualize, analyze, or interpret other data germane to the field of inquiry. In addition, questions will not just test rote memorization of data, but some may require the student to analyze data to arrive at the correct answer. From time to time, questions may be added as lateral-thinking challenges to the student. Answering these questions is voluntary on the part of the student, and any answer, or lack thereof, will in no way affect the grade earned by the student on the didactic portion of the examination. Exam protocol. Students must put away all study materials (textbooks, notes, review cards, whatever) at the time the examinations are handed out; further review of material once the exam has been distributed will not be permitted. It is incumbent upon the student to read the examination instructions carefully, to heed any additions or corrections indicated by the instructor, and to ask the instructor if something is not clearly explained or questioned. Be aware, however, that it may not be possible to answer such questions because to do so would betray the answer. All exams must be returned by the designated end time for that examination; failure to turn in the exam by that time will result in a zero for the examination. If a student is late for a scheduled exam, the student will be permitted to take that examination provided that no student has already completed the test and left the room; in addition, the student must complete the exam and turn it in by the designated end time for that examination. During an examination, the student may not listen to any playback device, digital or analog, including, but not limited to, tape recorders, CD players, camcorders, &c. The use of calculators requires permission of the instructor. Challenges. Any challenge to a question on an exam or to a grade earned on an exam must be submitted in writing by the class following the posting or review of the answers or grades for that exam. Missed exams. No makeup examination will be given except for one missed due to extraordinary circumstances. In those cases of genuine emergency, prior notice or subsequent documentation must be provided in order for a makeup to be allowed. Failure to do so will result in a grade of zero being posted for that exam. Vide supra for information on how to contact me. Athletics. Academics has priority over sports. If there is a conflict between sports travel and course work that must be completed, it is the responsibility of the student to ensure that arrangements have been made with the instructor to clear any missing assignments or examinations prior to the final exam in the course. Extra credit projects. No. Why not? To be fair, an extra credit project, if offered to one student, must be offered to all students. The time spent on an extra credit project would better be used in studying the assigned material. Attendance. While attendance is not taken on a weekly basis in a large lecture course such an Anatomy & Physiology, and there is no attendance component in the determination of the grade, failure of the student to attend lecture on a regular basis could adversely affect a student’s performance on the tests, not to mention that the student has not been able to benefit from the presentation of the material. Deportment. Proper class deportment is expected. Questions that seek to clarify or expand the lecture material are always welcome. Disruptive classroom behavior will not be tolerated, and frivolous questions that are totally off-topic, persistent argumentative questions, or questions that only serve as self-aggrandizement fall within the purview of such behavior. Students engaged in such unsociable activity will be asked to leave. If the offender or offenders cannot be identified, then the lecture will be terminated, but the class will be responsible for whatever material would have been covered. Impolite behavior, such as wearing a baseball cap indoors, is merely gauche, not disruptive, and so, cannot be barred. Portable communication devices. The use of beepers or cellular phones during class can be quite disruptive to the lecture environment. Therefore, all beepers and cellular phones must be turned off (or placed in vibrate mode) prior to entering the lecture room. Exceptions to this policy must be cleared with the instructor. Students who engage in text-messaging during class are not only being rude to the instructor and their fellow students, but are also depriving themselves of the class content. Violation of this directive will be considered equivalent to disruptive classroom behavior. Many circumstances may require a modification of the course content or schedule of events (such as a school closure on a scheduled examination date); the instructor reserves the right to make such modifications with appropriate notification. If such a change is necessary, a notice will be posted via Blackboard™ to call the student’s attention to it. Grades on a particular examination should always be viewed in a comparative light, and if a letter grade has been attached to the exam, that letter grade indicates the position of the earned score on that exam within the ABCDF–grading system. Assignments which are handed in late will receive a penalty of a 10% grade reduction for each class session the assignment is late; e.g., 90% becomes 81% when one session late, 73% when two sessions late, &c.
For further information on the SPCS policy on grading, please see the Student Handbook, pages 228–229. Tutorial information can be obtained from the Academic Assitance Center, 102 Cahners Hall; Phone: 617-373-2328, 617-373-8517 (TTY); Fax: 617-373-2328. If you have special needs because of learning disabilities or other kinds of disabilities, please feel free to discuss these with me so that the proper accommodations can be arranged, or contact the Disability Resource Center. For more details on the services Northeastern University offers you, please see the SPCS resources and services page. Your browser does not accept inline frames; therefore, this is the link to the policy. I further understand that I have the opportunity to request additional information and/or explanation on any of the above as needed.